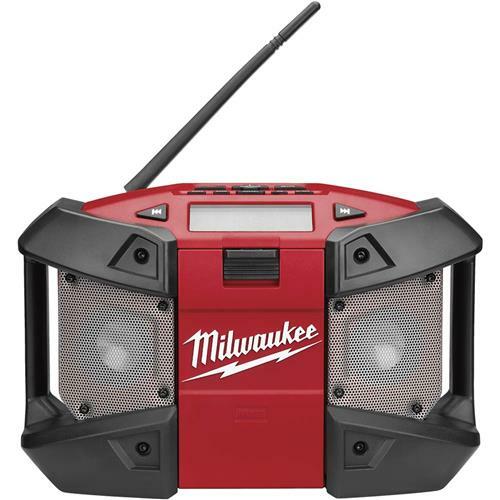 Exclusive digital processorPremium weatherproof aluminum speakersWeather sealed MP3 compartmentShock absorbing ABS polymer housingUltraslim sizePowered by M12™ LITHIUM-ION battery packs or AC adaptor. Please note: due to the high incident of fraudulent transactions with orders containing name brand products, orders for this item must ship to the billing address. 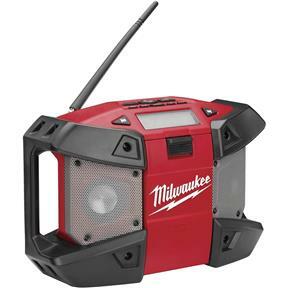 Powered by M12™ LITHIUM-ION battery packs or AC adaptor.